Cllr Derek Mitchell welcomed the rapid construction of the Boardwalk in Greystones Harbour and the protection of the North Beach. The picture shows sections of the Boardwalk which have been lifted into place. 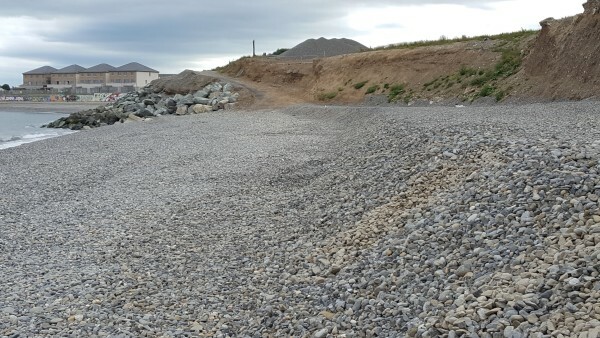 On the North Beach 5,000 cu m of shingle was placed in August to compensate for erosion in previous years and rocks were placed to protect the very old town dump. 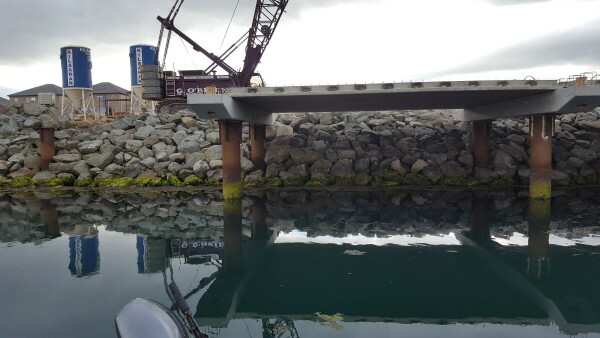 This is being done by the developer as part of the Harbour contract.